OKLAHOMA WAS recently voted the manliest state in the USA, prompting radio talk show host Joe Cristiano to investigate if the manliest men, in the manliest state in the Union, were willing to discuss their mothers live on air. The men who spoke are war veterans, prison inmates, cowboys, preachers, and district attorneys, while their mothers are spunky, resilient, demanding, generous, and iconoclastic. 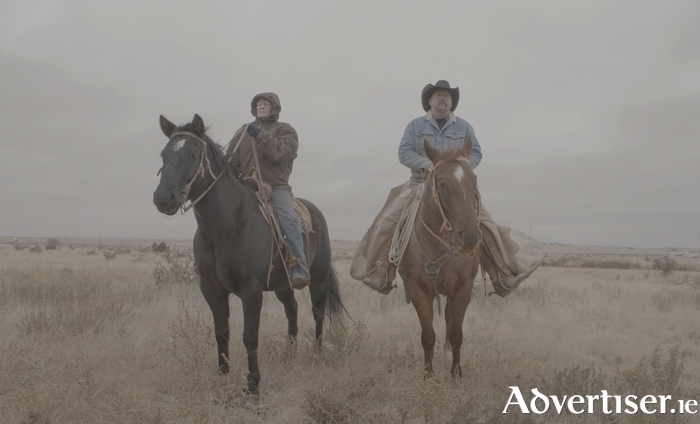 Together, these mothers and sons ride horses, shoot guns, and discuss their deepest feelings. There to capture these intimate, personal moments, was Portlaoise born film-maker Ken Wardrop, best known for His and Hers, and from it he has created Mom & Me, a film which displays a touching, vulnerable, rarely seen side of American masculinity. Mom & Me will be shown in the Town Hall Theatre this Saturday at 6pm, before running in The Eye Cinema from Friday July 15. The film won the George Morrison Documentary Feature at the 2016 IFTAs. For tickets to the Fleadh screening contact www.tht.ie or 091 - 569777. For The Eye see www.eyecinema.ie or 091 - 780078.